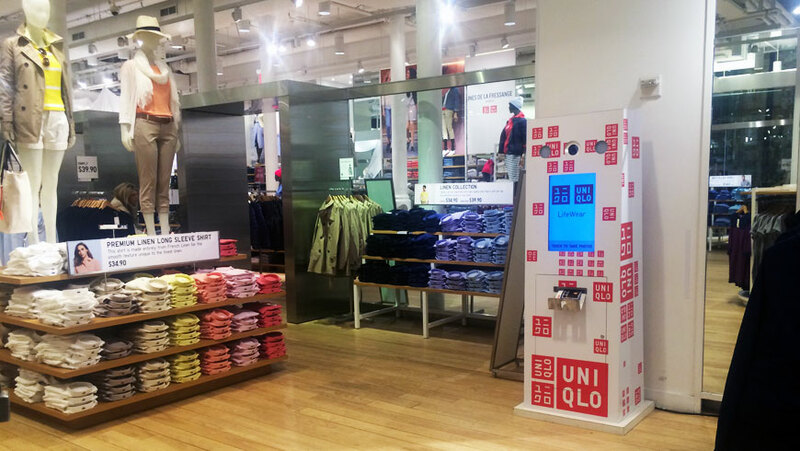 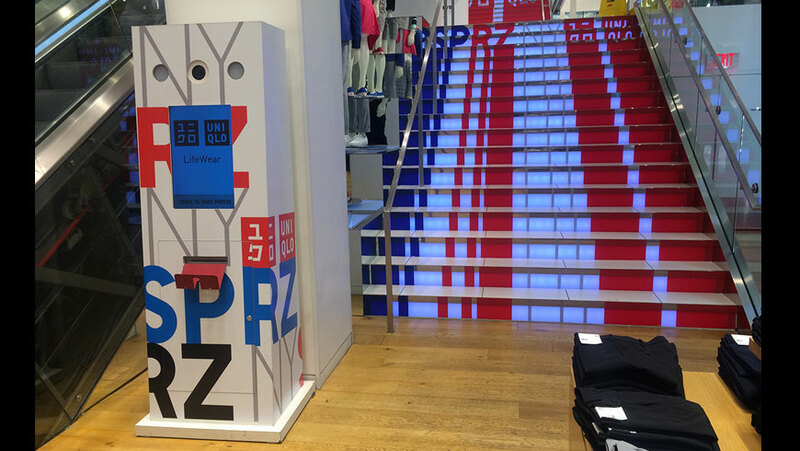 For Japanese retail clothing brand UNIQLO, we built multiple photo kiosks for installation in stores across the USA. 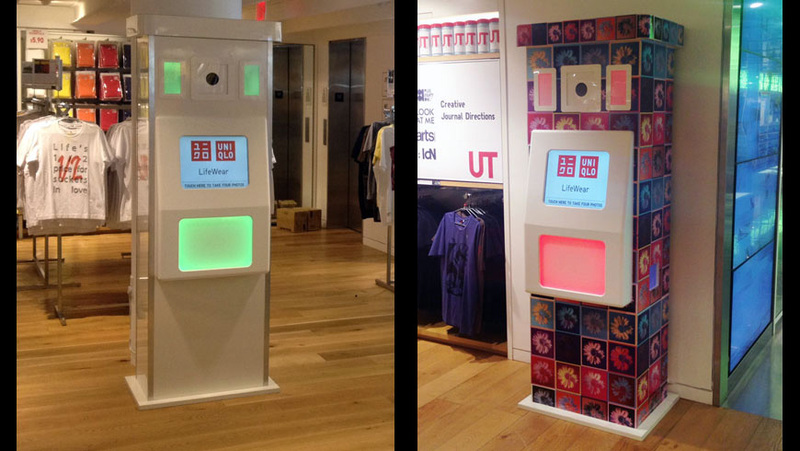 Guests take photos and can print and share to social networks. 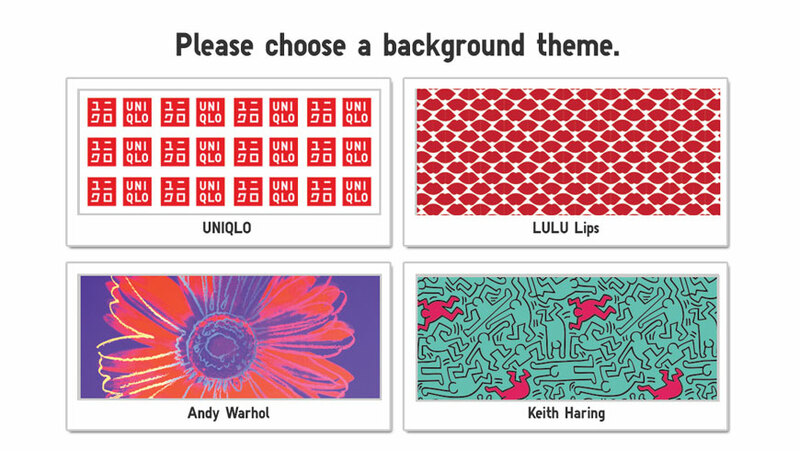 Guests enter email addresses to take free photos and make an animated GIF. 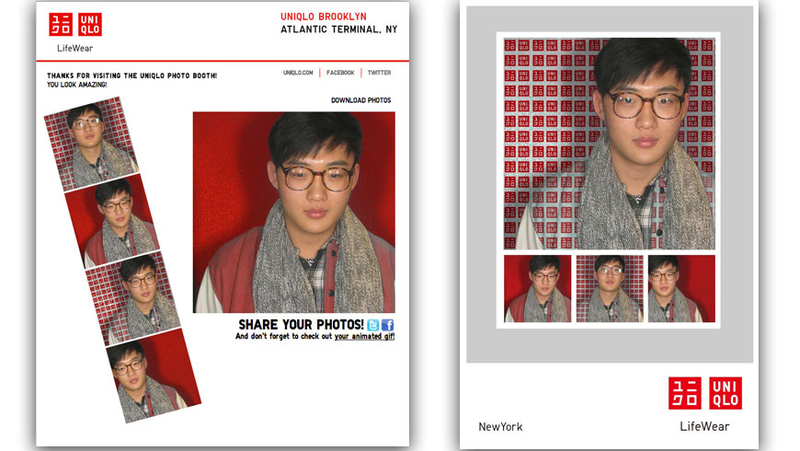 Photos are uploaded to a private page for each guest and a branded email notifies them when their content is live. 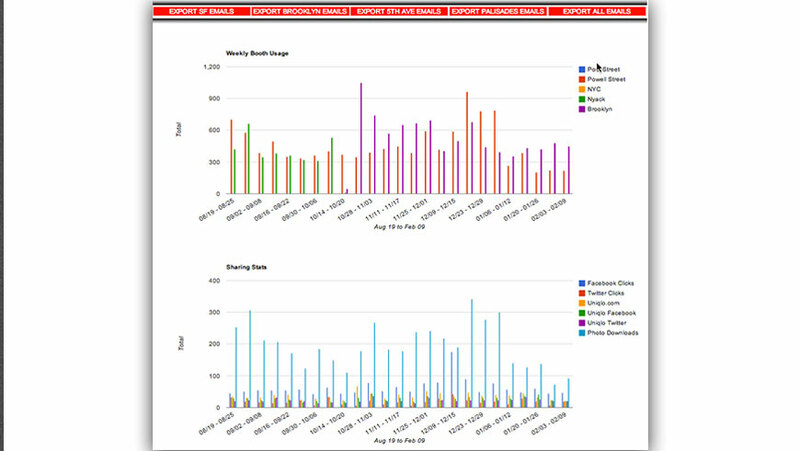 The photos can be shared to social media from the user web pages, and usage data is aggregated, visualized and reported to the client at the beginning of each week.